The folks at Liberty Tax realized the potential for serving this market, and, in 2014, the company launched SiempreTax+. SiempreTax+ is a national tax preparation franchise designed to serve the needs of this growing market. SiempreTax+ has grown. The company, founded with offices in California and Texas, is on the road to growth as a tax franchise opportunity available in many states. SiempreTax+ has some of the lowest start-up costs in franchising. The estimated initial investment ranges from $43,700 to $71,900, which makes opening a franchise affordable for many entrepreneurs. This is one of the things that makes SiempreTax+ unique. Every SiempreTax+ office is bilingual. Tax preparers speak English or Spanish, whichever makes the customer more comfortable. In either language, SiempreTax+ is a trusted resource, providing the best tax preparation service. 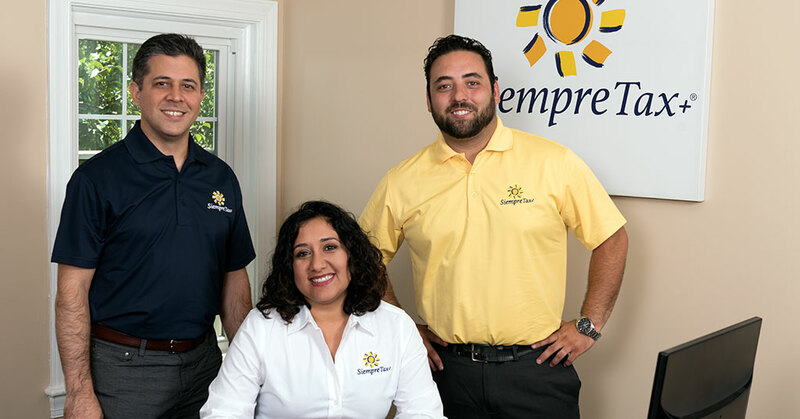 SiempreTax+ creates affordable and reliable entrepreneurial opportunities in the $11 billion tax preparation industry in the U.S. SiempreTax+ has been ranked as a Top New Franchise by Entrepreneur magazine for two years in a row. The ranking evaluates franchises based on costs and fees, franchisee support, brand strength, and financial strength. This is another feature that demonstrates how SiempreTax+ franchises understand the Hispanic market. The “+” in SiempreTax+ stands for the additional services offered at the locations. SiempreTax+ offices have offered ESL classes, drivers’ license assistance, and more. Thanks to a partnership with Juntos Podemos, SiempreTax+ offices even offer international money transfers. Hispanic households contributed to the tax system, and those taxpayers want to be sure they don’t overpay their taxes. SiempreTax+ offices offer free ITIN application assistance. Tax preparation is a reliable business. The industry ranks as one of the most profitable for small business owners. The facts speak for themselves. The Hispanic market in the United States is booming. Companies that serve this growing market are poised for the future. SiempreTax+ is such a company. “They get it at SiempreTax+,” said Tony Suarez, Executive Vice President of the National Hispanic Christian Leadership Conference. “They understand the economic power of the Hispanic market, and they’re opening doors to people who want to serve that market.” Learn more about tax franchise opportunities. Visit SiempreTaxFranchise.com.